My second day in Hanoi had an early call time. The guys arranged a trip to a tourist spot on which I had no idea how far from the capital. We had two cars and I was with Ha together with Alena, Cuong and Tung. While Son drove the other car with his son, Tu and his son and Zung. 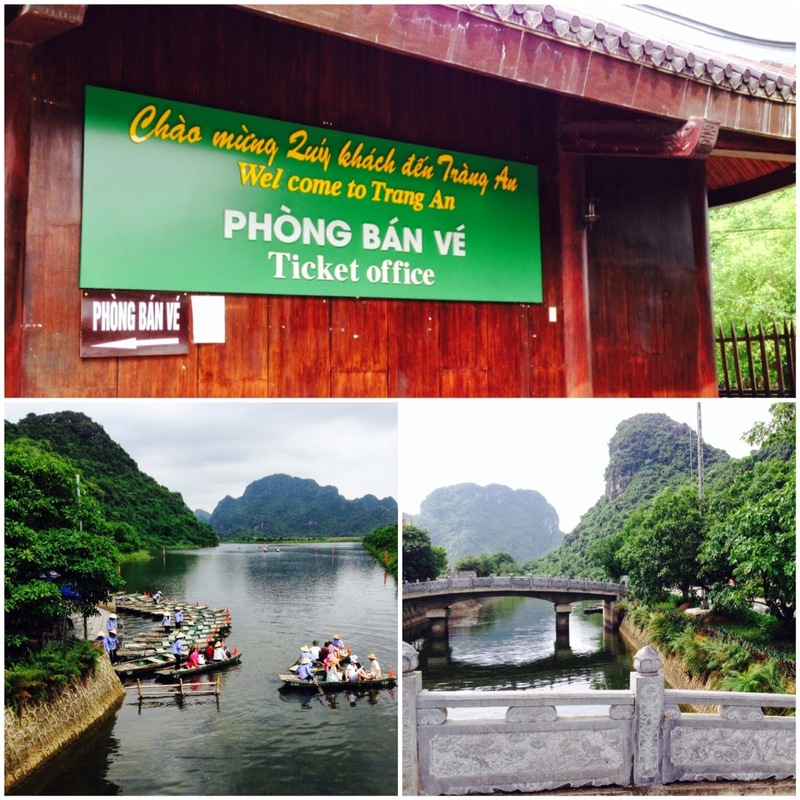 We went to this place called Tràng An, a scenic area near Ninh Binh. 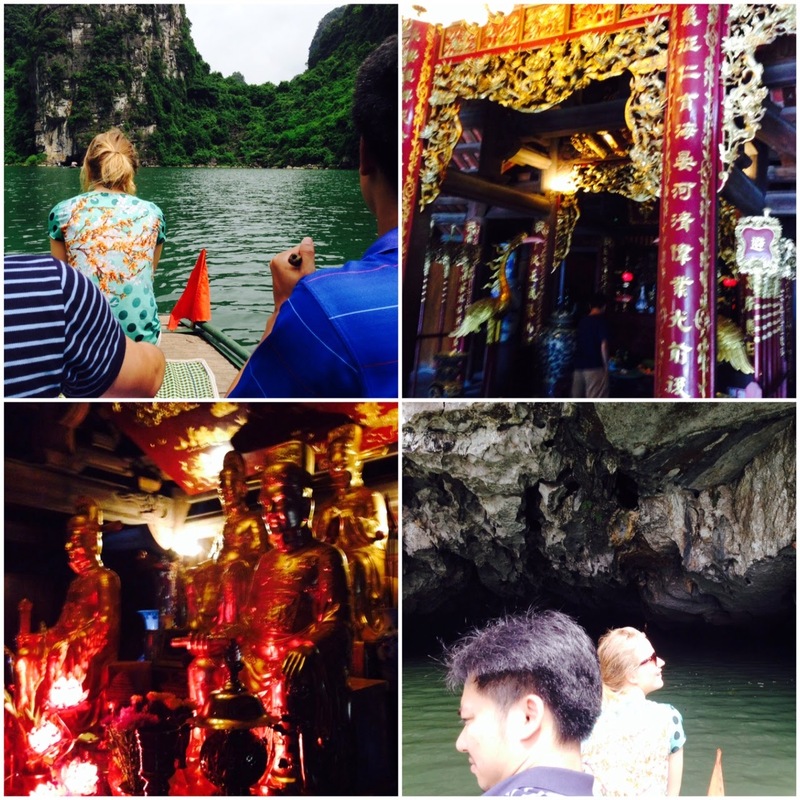 At an instant glance, I knew that it will be a boat cave tour. The place was so amazing and very beautiful. We rented two boats and started the wonderful journey. It was so fun rowing the boat (and yes it was also tiring). 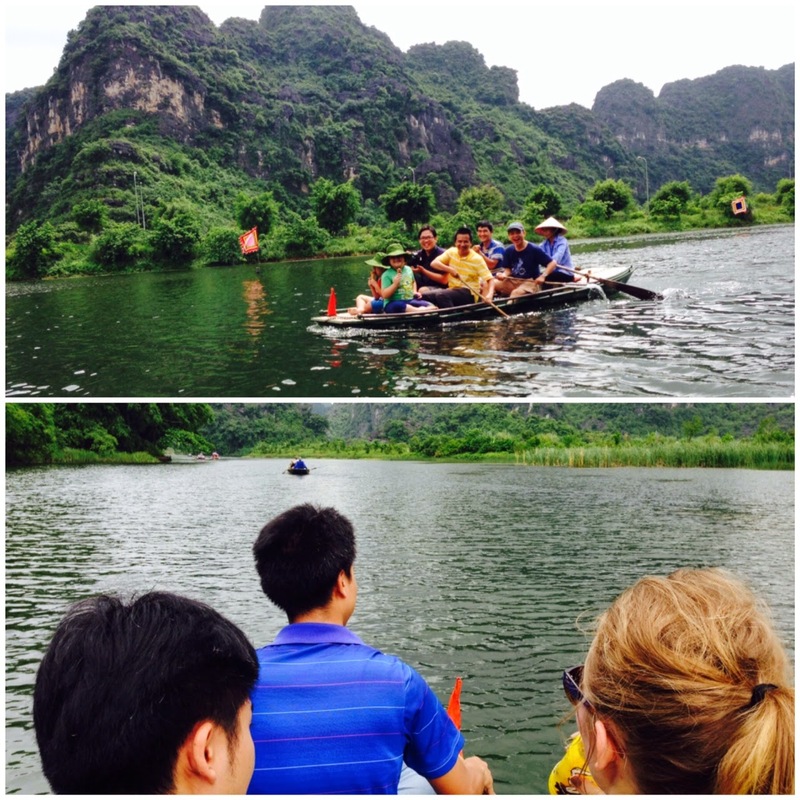 The boat came with a native rower and ours was a very nice lady. The view and scene itself took away my breath and I couldn't believe that I was in that place. There were several stops and we even entered some caves and underground rivers and those moments became more exciting as it was a challenge to enter and pass those parts of the tour. Nevertheless, it was a magnificent experience. It took us more than four hours to finish the tour and on our way back, it rained and honestly, it was a very enjoyable moment even though we were all wet. 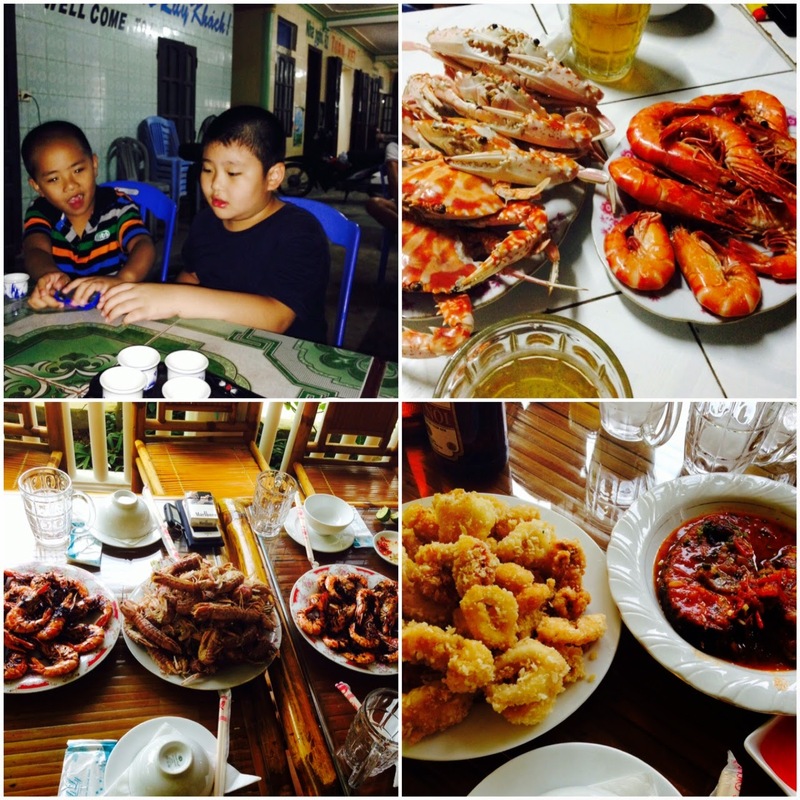 We then took our lunch to a restaurant which was more than thirty minute drive from Tràng An. We were all hungry that time and they ordered mostly goat meat. Fortunately, there was a chicken and egg meal so I was able to eat (yeah, I don't eat goat meat). I also liked this rice cracker (I forgot the exact name for it) that I even bought 3 packs of it. 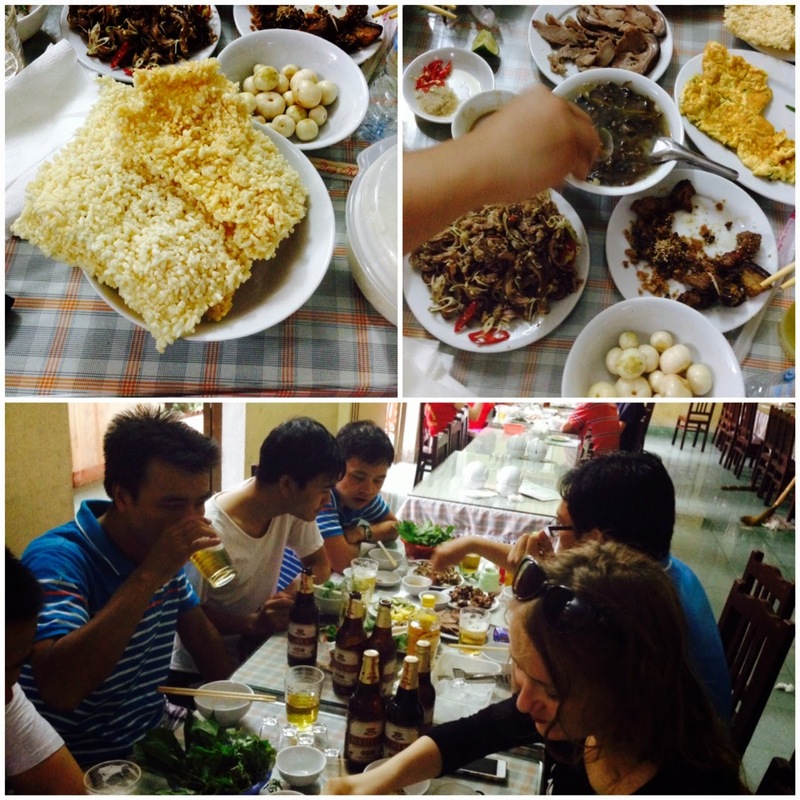 After that, we drove all the way to Biển Hải Thịnh and checked in a hotel. The guys were so nice that I had my own room haha. So I rested while others spent some time in the beach. After a quick nap and shower, we looked for a place to have our dinner. The first thing that I saw was the number of beers that they bought and I wasn't surprised at all. The dinner was superb as it was a sumptuous seafood selection! We had shrimp, crab, calamares and fish. We had a lot of beers and a long enjoyable night.